A Consultant Cardiologist, Prof. Janet Ajuluchukwu, has warned that High Blood Pressure (HBP), high salt diet and increase in blood sugar are major risk factors of heart damage. Ajuluchukwu made this known in an interview with the News Agency of Nigeria (NAN) on Monday in Lagos. She said that HBP wasn’t only a risk factor of heart damage but also a disease on its own. “HBP, also called hypertension is a disease on its own; it’s also a risk factor for heart damage. “When there’s HBP or hypertension, the heart will enlarge and any enlarged organ is telling you that it is easily damaged. “The heart enlarges to do more work. “Meanwhile, by enlarging; it also gets into trouble and can get into heart failure,” she said. The cardiologist explained that the risk factors for hypertension, including smoking, a high salt diet, herbal medications, obesity and increase in weight could also cause heart damage. Ajuluchukwu stressed the need for individuals to avoid foods with high salt content because it could cause a sudden increase in their Blood Pressure (BP). “Salt is also a preservative. Tinned foods or foods sold for commercial reasons tend to have a high salt content, so it doesn’t spoil quickly. “But that high salt is very injurious to us. Anything that has a lot of salt can make the BP go up,” she warned. The cardiologist said that another major risk factor of heart damage was diabetes. She decried the increase of diabetes which she attributed to be majorly caused by lifestyle choices. “Before it was only three per cent some years ago, but now it is getting to nine per cent in the community having diabetes issues due to lifestyle”. “Lack of exercises, obesity and increase in weight are factors that increase the possibility of HBP as well as diabetes,” she said. Ajuluchukwu urged Nigerians to be more physically active, especially at their work places and during their leisure time. She advised that people go for regular BP, blood sugar and urine checks. NAN reports that the Nigeria Hypertension Society (NHS) said on May 17 that one-third of Nigeria’s adult population is hypertensive. The President of the Society, Prof. Ayodele Omotoso, said this on the side-line of the World Hypertension Day. Omotoso, lecturer with the Cardiology Unit, Department of Medicine, University of Ilorin Teaching Hospital (UITH), said then the theme of the 2018 World Hypertension Day is: “Know Your Numbers”. 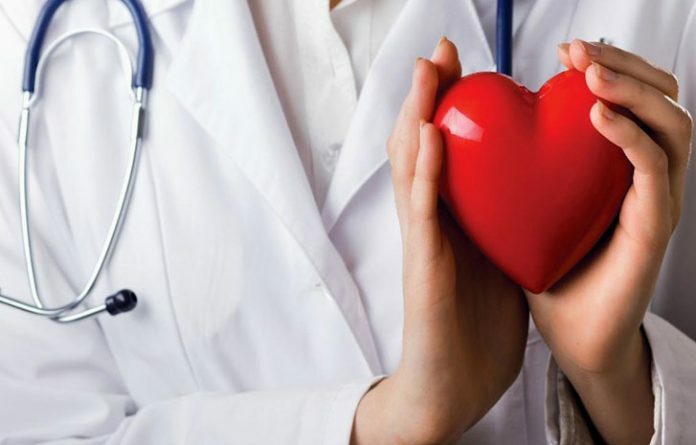 Regrettably, the Cardiologist said that only one-third of adult Nigerians, who are hypertensive are aware of their status and just one-third of them are on treatment in spite of availability of potent drugs. NAN also reports that the expert warned that hypertension only announced its presence in most people after they had suffered a stroke, heart failure, heart attack or kidney failure. He explained that the social and economic toll of the complications of hypertension on immediate families and the nation at large was enormous.